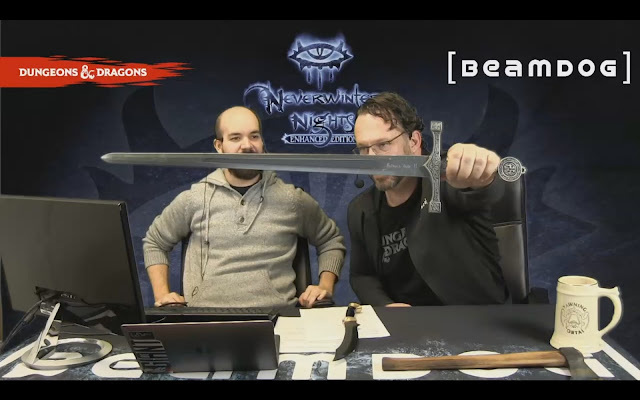 By popular request, the main menu music now defaults to the original Neverwinter Nights theme. In the .ini settings you can now choose between the Original Campaign main theme, the HotU main theme, the Witch's Wake main theme and the Wyvern Crown of Cormyr main theme. Any of the .BMU files may be chosen for your main menu music. The v74.8156 build re-introduces screen space ambient occlusion post process shaders into Neverwinter Nights. Now floors, stairs, walls and other objects will look better. It’s a cool feature that we’ll be continuing to work on, but take note that it can feel a bit heavy if you play at a large resolution. It’s currently not available for public access, but internally we’re testing the Steam Friends List support. We have plans for additional portraits for Neverwinter Nights: Enhanced Edition. 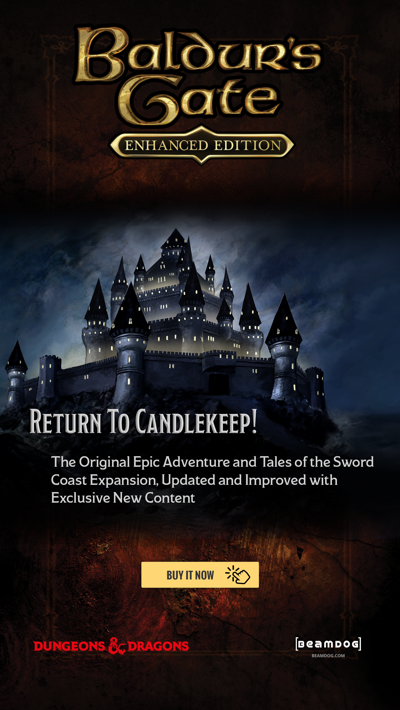 But getting back original Neverwinter Nights portraits which were available at the release of the vanilla game and later patched out is not possible due to legal reasons. If you want a feature where you can change your portrait in-game, share your suggestion on the forum. If you’re interested in a feature highlighting in-game chat text in color or bold/italic styles, let us know in the forums. A Baldur’s Gate II sword, a gift to Trent from the Bioware team back in the day. 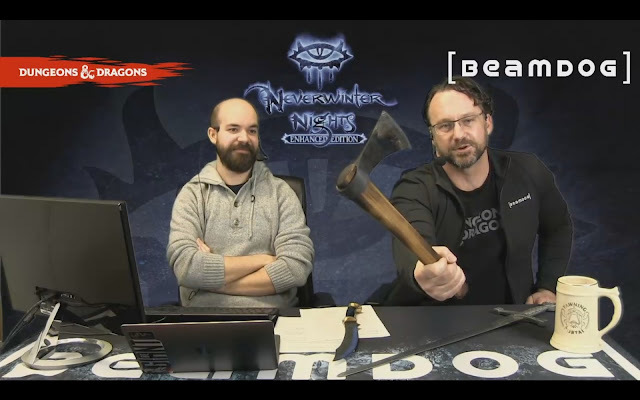 The first smithing experience of Trent, a tomahawk axe. The coloration is natural, temperature-based. 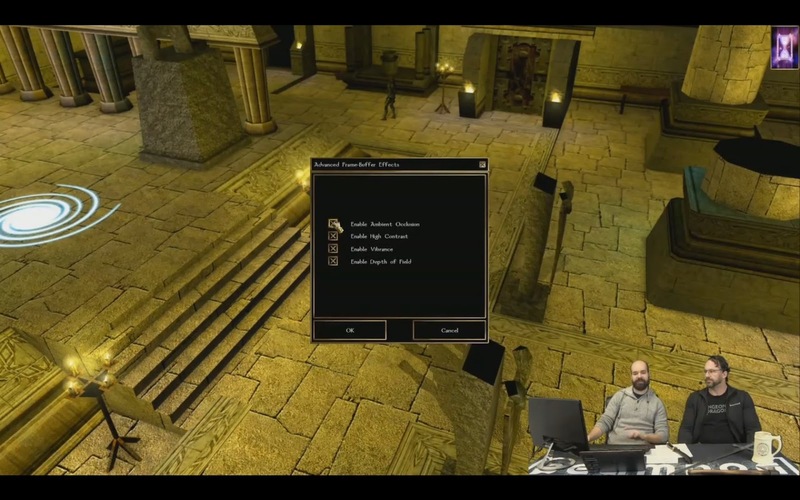 Going forward, we have plenty to do about the Neverwinter Nights: Enhanced Edition Toolset. We are currently looking for a few good designers, developers, programmers, and more! On our career page here you can find all the recent job listings. We see ourselves as curators of original content. Neverwinter Nights: Enhanced Edition is about adding and improving, not reinventing. 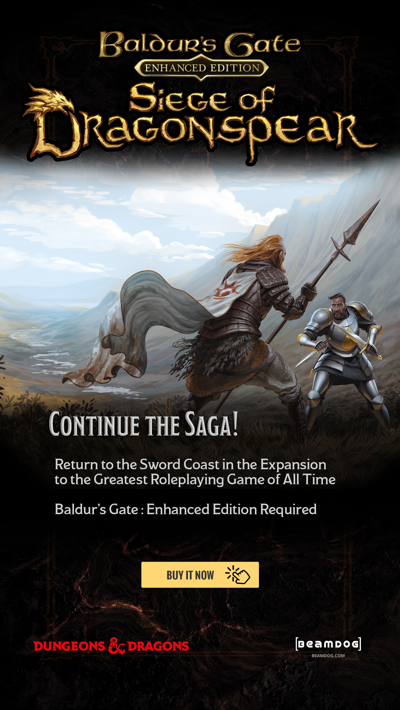 The 2.5 patch for Baldur’s Gate: Enhanced Edition, Baldur’s Gate II: Enhanced Edition and Icewind Dale: Enhanced Edition is actively being worked on right now. Over the holiday break we have got amazing feedback from players and we’re going through it. This patch will restore original German VO for Baldur’s Gate II: Enhanced Edition. We need to investigate and turn up what other original VO is available to be included with future patches.